Why then do many fitness professionals spend so much time arguing on the web? What draws them to these debates? Why invest so much time arguing with strangers that they will never encounter in the real world? Based on my observations, there are two common reasons why certain fitness professionals flock to these debates. First, many of the individuals involved in these disputes have nothing else to win. These so-called coaches are nothing but online creations who aren’t involved in the training of any real athletes. They live in a world of theory without application. They have never tasted true victory or defeat. Battling it out on a message board or social media site is their only chance to win at anything. They treat Facebook disputes like 12 round championship bouts. They refuse to back down. When an opponent counters with a witty response, they retaliate with illegal blows. There are no referees to control the action. Chaos breaks out as arguments turn into insults. Egos swell when a comment is liked by onlookers in the crowd. Contestants vie for the last comment. They stay up all hours of the night refusing to surrender. Winning means everything. It is their only chance for victory. It is also another chance to win popularity points with the cool kids. The online fitness world is in many ways similar to high school. There are different clicks and some people just want to fit in. When one of the cool kids is engaged in an argument, their friends flock to the scene, always ready to jump in. They are quick to mock opinions that differ from their own. How dare anyone suggest something that is different from what is taught at their seminar or certification? The same types have been known to post videos of high profile athletes to critique their training. They snicker at exercise selection and technique. They tell onlookers how they would train these athletes if they could. Once again, it is their only chance to offer advice to anything remotely related to a high profile athlete. Their training studio is not built from brick or mortar, but is instead hosted remotely on a web server. These individuals relate training an athlete with sending an email. There is no physical interaction. Their thoughts and actions exist only in cyberspace. Unfortunately, winning an online popularity contest or argument pale in comparison to winning a real event. Speaking as a coach, I am not ashamed to admit that there is nothing better than winning and nothing worse than losing. Once you have tasted real victory, all that you want is to taste it again. Once you have tasted defeat, you will do anything to avoid tasting it again. And these simple truths are why you will almost never see any legitimate athlete or coach waste time arguing on the web. Doing so offers nothing in return. All that it does is take away time that could be otherwise spent improving yourself and your athletes. Look at any successful coach from any sport and you will find similarities. Perhaps the most commonly shared trait is a ridiculous work ethic. To be truly successful at the highest level, you must be obsessed with winning. Your life must revolve around it. You wake up early, work long hours, and bring the job home with you. There isn’t extra time to waste. You always wish you had more. That’s the lifestyle. Either accept it or find something else to do. Consider a few legendary coaches and trainers from previous eras. Imagine if Vince Lombardi was alive today. Do you think he would spend his days arguing online about what plays to call in an NFL game? Or would he be busy trying to better his own team? What about John Wooden? Would he argue online about how to dribble a basketball or would he stay busy developing his own team? Would Ray Arcel argue online about the best way to throw the jab or would he be busy teaching his own fighters? What about dominant athletes? Did Jerry Rice argue online about the best routes to run as a wide receiver? Or was he busy perfecting his own? Did Michael Jordan argue online about how to shoot the ball or was he busy perfecting his own? If Sugar Ray Robinson was alive today, would he argue online about how to throw the left hook, or would he stay busy training the same hook that he used to destroy Gene Fullmer? The next time you consider arguing online, ask yourself what it offers in return. Understanding that time is finite, is it worth wasting it over an online dispute? Isn’t there a more productive way to use your time to help reach your goals? And if you see a “coach” involved in an online debate, ask him how he finds so much time to engage in such debates. Where are all the athletes that he supposedly trains? Is he in the gym or on the computer? I’m all for multitasking and consider myself coordinated, but I can’t type with one hand while holding the mitts with another. I don’t have time for online arguments just as I don’t have time for online training. The world may be going digital but real sports are still played in the real world. I don’t see that changing anytime soon. That Theodore Roosevelt quote is the best. :ove when you find cause to post it. 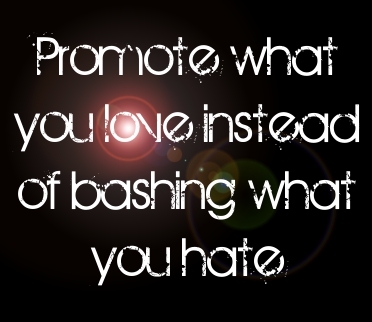 Applies to anything you endeavor to do in life, be it personal, professional, or recreational. I love it – great read! Thank you Ross. I feel as though the Internet has made men out of mice. Everybody has an opinion about nothing they have experience in. I frequent the Internet for those with truth in they’ re hearts and actions. You can imagine how few sites I frequent. You are a mainstay. I enjoy your insight and hope life is treating you well. Seems like every time I read your blog you are on another planet. You are living life while others just pretend. I appreciate all you do for the unmotivated including myself. I live by what you said losing is an addiction. Again thank you. I can definitely appreciate your take on the online warrior. The world would be a better place if people conquered themselves rather than other’s. I have difficulty imagining the logic behind arguing anyway because there is a balance between positive feedback and negative feedback…. neither of which can ever be given or applied without first having respect and trust. Thank you Ross for sharing! Thanks Ross. Puts things in perspective. It’s the same as those individuals who say “oh, I can’t explain it, you have to experience it yourself”, “I’m not working on what you are working on, but you are doing it wrong, and I won’t discuss the right method”, etc. Figuring out what works is hard enough without that noise. Well said Ross. Thanks for all you hard work. I see this critically. I am moderating a fitness section for a forum engaged with the company of a friend of mine. It is not a job that makes me any money, it is just some work to keep things organized. But then I meet what people out there actually learn about fitness. For me, I really spend too much time fighting this, I know, but I can’t let this idiocy stand. It is like all these people are brainwashed and anything beyond and isolated machine based training plan has been erased from existence. For me, I have had so many people thank me for giving advice, writing stricky threads, giving advice on training, training science and critical valuation, that I can honestly say it has changed people’s lives and physiques. I am wary nowadays about doing it for free, but if you ask me where I find the time, i can only say I have engaged in my free time to right a little bit of the idiocy of the forum world. I have gotten more people to barbells and sprint intervall trainings than I have ever thought, almost everyone who sticks to the advice gets better. So, yes, I don’t want to win debates and I am not getting prizes for it. But when I see eager people being suckered into “blind leading the blind” situations, it is hard for me to resist getting them on a path better suited to their goals. Great food for thought, and one of the reasons that I regularly come back here to read. It is amazing how passionate people become arguing with people they don’t know and like you said will never meet in real life. Eyes straight ahead – focus on what you are passionate about. Critics will always exist, unfortunately. Great article Ross I completely agree. Everytime I look at online discussion forums of any type I despair. The internet had and has a lot of promise but in many places it is just about ego and point scoring. Recently I got a kindle and started reading books again it is a revelation if I could take back all the time I’ve wasted getting sucked into discussion threads I would. So true! You speak out what I have been thinking for a long time! I stopped arguing about how to train about two years ago. And now I’m writing all of the things I have learned on my homepage. Since I have started the homepage in January this year, the forums I’m sharing my training started arguing about the things I’ve learned over the past 8 years of hard training. Well, that’s not my problem, because I have learned the things working. I can understand the wisdom in what you are saying here, as a lot of time is sometimes wasted going back and forth, often with very little resolved. “Two ships crossing in the night” is the expression most used as people are arguing at each otehr and not with each other. However, I have to say I do find these debates informative in trying to learn information. You know what you do works. But for others trying to figure out what will work best for them with little experience and choosing amongst various training methods, the debates are information in terms of being able to tell who knows what they are talking about. I have to admit I have learned a lot this way. If a coach were spending time “arguing” about anything, they would be presenting that argument exactly the way you would expect them to- by training athletes their ways. “Go and make disciples” applies pretty well here- a real coach would simply point to their athletes since they are the coach’s blood, sweat, and tears. And they “debate” the way you’d expect too- by pitting their athletes against one another. And not in a malicious way either. 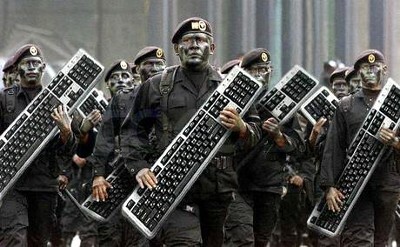 I think they do argue, but they certainly don’t use keyboards to do it!